Student Government chief of staff Collin Pruett resigned from his position June 23 to pursue other opportunities, according to his resignation statement. Pruett was appointed as the chief of staff by Student Government President Brooklyn Boreing, whose cabinet picks faced scrutiny from senators that resulted in a delay of the cabinet members’ confirmation. Pruett’s position, however, didn’t require confirmation by the Student Government Senate. Boreing’s picks will be confirmed in fall 2018 as Student Government picks back up. In a tweet, Pruett said he has served the shortest amount of time as chief of staff in Student Government’s history and that it was a proud accomplishment. Pruett’s resignation comes among a number of other Student Government resignations as of recent. 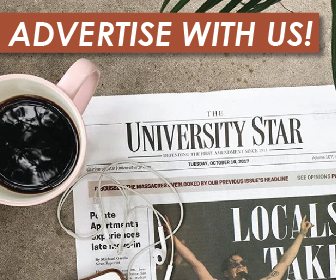 The University Star will continue to follow this story, as well as publish an update on Student Government, as it develops.